While the American gaming market basically kicked adventure games to the curb back in the nineties, regarding it as a niche genre unless something amazing comes out, Japan took the adventure game genre and spun it off in a few different (and successful) directions, including the visual novel genre. We’ve discussed the idea before in other reviews, but the concept is simple: while there will be puzzles to solve in some form or fashion, the point of such games isn’t the puzzles, but the narrative, as there will often be long, involved storylines in such games, which is honestly their biggest draw for the Japanese game market. In the US, visual novels haven’t caught on as much as genre fans might hope just yet, though this might be due in large part to the spotty history of the genre over here. 9 Hours, 9 Persons, 9 Doors and Jake Hunter: Memories of the Past might be good releases, sure, but Lux Pain and Jake Hunter: Detective Chronicles were spotty and poorly translated, so it’s really a crapshoot for both fans and newcomers, unfortunately. Leave it to XSEED to look at that sort of a situation and say “Challenge Accepted”Â, because their newest release, Corpse Party, is a download-only title for the PSP that fits squarely into the visual novel genre… and is seeing release during a busy holiday release schedule. That said, it turns out that their confidence in the product is well founded; Corpse Party is on par with last year’s well received 999, and even with the large amount of reading players will be expected to do, it makes itself easy to recommend. 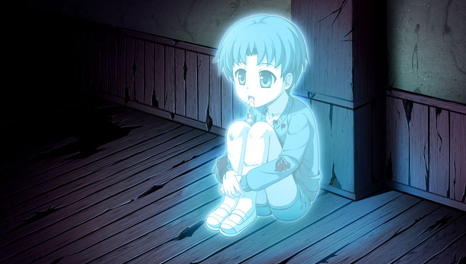 Corpse Party uses a fairly traditional setup for horror fare: a group of nine people from Kisaragi Academy perform a charm called “Sachiko Ever After”Â; in short, this charm is supposed to bond the nine as friends forever and keep them connected to each other, but instead it curses them, badly. The group wake up in Heavenly Host Elementary, a school that was supposedly condemned and destroyed long ago because of a series of violent incidents involving the school. Worse yet, the group has been separated, the school is haunted by all manner of hostile spirits, and the numerous dead bodies adorning the halls indicates that survival, let alone escape, is somewhat less than likely. Corpse Party does a great job of establishing its protagonists and setting from the start, thanks to some solid writing and an excellent translation by XSEED that keeps the player engaged throughout. It also does a very good job of surprising the player at various points, as its plot isn’t built in the standard American slasher film fashion, but rather in a fashion that makes the characters likable before events befall them in some form or fashion, so instead of rooting for death you actively feel bad that bad things have happened. The one point that can be made against the plot is that bad things will happen to a good number of characters, as you’ll meet and get to know more people than just your starting cast, and yes, several people will die in unpreventable ways. There is no “happy”Â ending here, and while the game does a good job of making that obvious in advance to the player so that this isn’t a cheat or a surprise later, it can be a bit of a shellshock when it first sinks in. The game also pulls no punches when describing the various ways you might die; your deaths will often be accompanied by significant detail, many of which is fairly… grotesque, shall we say, so if you barf easily you might want to be aware in advance, though whether that’s a selling point or not is your call. 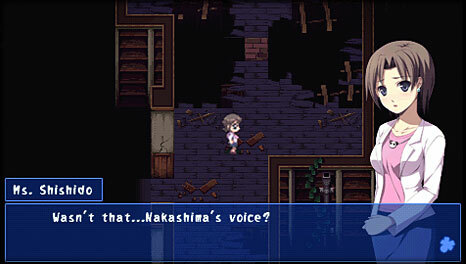 Corpse Party is basically a PSP port/update of the PC game Corpse Party: Blood Covered, which itself was an updated version of a game made in RPG Maker by Team GrisGris over a decade ago. As such, while the game has seen some artwork improvements and visual cleanup over the years, at its core, it’s an overhead sprite-based adventure game at heart, and the visuals reflect that. The game is fully 2D, from the ruined and haunted environments to the character sprites and beyond, and the detail in the sprite work, while not at the level of something like BlazBlue, is surprising all the same. A lot of work was put into giving the sprites multiple different animations and putting significant detail into the environments, and while some things repeat as you wander the school, this isn’t really an issue. The static artwork images used for the different cinematics that come up is also excellent (and occasionally violent), and helps to bring the more striking scenes in the game to life in a way the sprites can’t manage on their own. Aurally, the soundtrack is fantastic and fits the game very well, and fans of older horror adventure games or the Castlevania franchise will appreciate it immediately. There’s also full voice acting in the game, all in the original Japanese dialogue, and it’s all quite strong, largely because it seems like the voice cast was hired based not on acting talent, but on their ability to scream convincingly… and they are all very good at it. 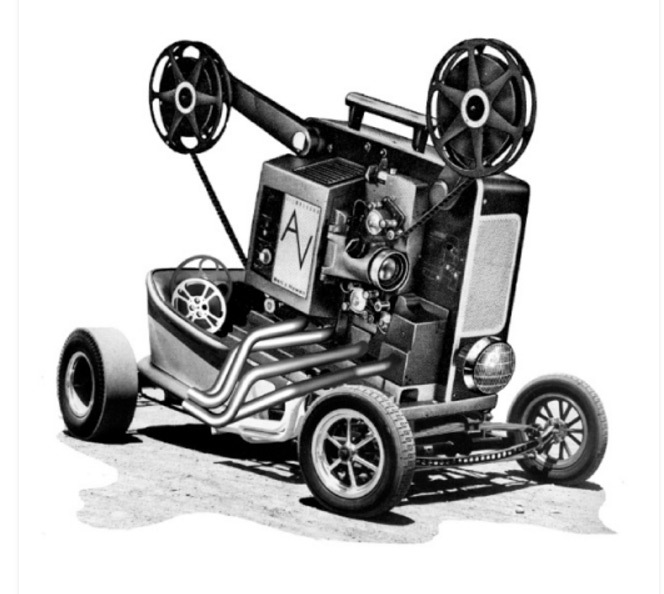 The sound effects in the game are also very solid, between the normal effects that come up during play and the odd ambient effects that pop up when you step on a loose floorboard or a piece of glass without even noticing, which adds life to the experience in less noticeable but no less important ways. 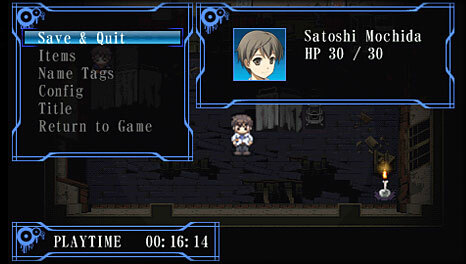 As Corpse Party is basically an adventure game mechanically, the gameplay is very simple as a result. You move the character you’re controlling around with the D-Pad, and the X button takes on the role of the “interact”Â button. Whenever you find a person, place or thing you think might be useful or interesting, you press X while facing it to interact with it in whatever fashion is applicable. The Triangle button acts as a menu screen, allowing you to look over your characters in your party, review items on your person, look over collectibles you’ve recovered, and configure options in the game. This is basically the extent of the controls, and as such, anyone can pick the game up and understand it with little to no difficulty, as it’s a very easy game to play and work with. In a nice bit of understanding of the console and its limitations, the game not only offers you the option to save your game at candles spread throughout the school, but also offers you the option to make an instant save at the moment that you can resume any time, so if you need to put the game down for a moment, you’re welcome to do this thing. This would seem like an obvious thing for a handheld console, but given how many developers refuse to do that now, it’s something that’s nice to see. Now, as this is largely an adventure game, as you might expect, the point of the game is to spend your time exploring the area, looking for information and items that will help you escape Heavenly Host Elementary with your life. The school is a dilapidated mess of broken floors and ripped up hallways, so you won’t always be able to go in every available direction, and further, since everyone is separated into not only different parts of the school, but sometimes different schools altogether, you’ll find that your available options are constantly changing as the game progresses. Working with the tools you have, you’ll have to search around for useful information and items to progress in your quest while also avoiding hostile entities in the school and choices that can potentially prove fatal. 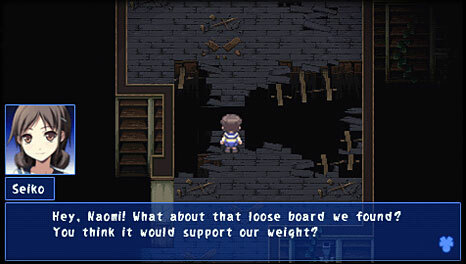 This, as it were, is where the challenge in Corpse Party comes from, as making the right decisions and going in the right direction at any given time can be challenging and it may end up that the choice you thought was the smartest choice at the time was, in fact, the worst possible choice available. 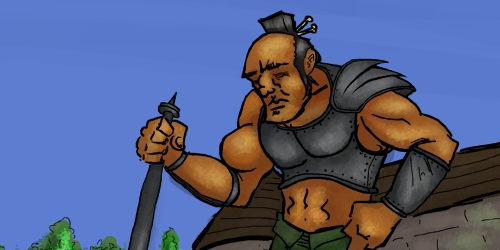 Players who find themselves ignoring the exploration aspects of the game may well find themselves missing important information or items when the time comes that they’re needed… while players who turn over every nook and cranny may find that some of the information they find is detrimental to their lives as well. 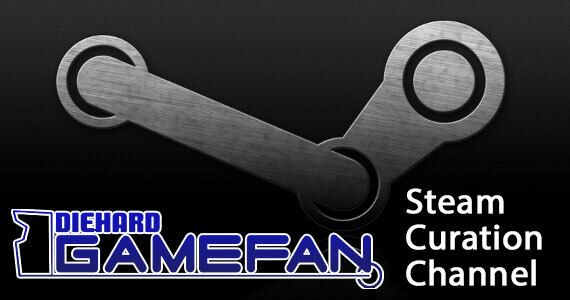 It’s an interesting balance, and one that pushes the player to be aware without simply collecting freaking everything, as the game changes up the expected formula the genre has been using for years in some amusing ways. If you’re able to get all of the best endings in your playthrough, you can clear out all five of the main chapters in around ten hours, give or take, but that’s by no means all that there is to the game. Across the five chapters there are twenty seven total endings, with five serving as “true”Â endings for the chapters, two serving as alternate endings that play out in different ways or from different perspectives, and twenty “wrong”Â endings that are often, as the name implies, so very, very wrong. Beyond that, however, there are also a substantial amount of student ID’s to find throughout the school that tell you the fates of those who came before, as well as ten extra chapters for you to find, and while only a couple of them really “challenge”Â you as a player in any fashion, they all fill in some added depth about the characters and the game world. Searching out all of the endings, ID’s and extra chapters could easily double your time with the game, and twenty hours of play time tacked onto a twenty dollar game is by no means a bad investment in the least; at a dollar an hour, you’re easily getting your money’s worth here. That said, the single biggest issue with Corpse Party, aside from the obvious “it’s a visual novel and that means a lot of reading”Â element, is the fact that the game is pretty tough to take at times. I mean, I’ve been on the internet a long time, so I’ve seen most of the “terrible”Â things one can see on it, and I’ve seen movies like Cannibal Holocaust and The Human Centipede and not really been revolted, but there are sequences in the game that are discomforting for me. This game isn’t Silent Hill or Resident Evil, and if you walk in thinking that’s the case here you might be shocked, so it bears mentioning: this game can be rough, and if that’s not appealing to you, you might want to consider that. Beyond that, though, while the game having a lot of talking in it might not be a big issue, the fact that there’s no text skip option to bypass scenes you’ve already witnessed when you’re farming for bad endings is a bit problematic. Granted, this isn’t a concern in the early chapters where you’re only repeating two or three scenes, but in Chapter Five, where there can be extended sequences between the endings, it gets to be a bit repetitive going through the same text multiple times to clear everything out. Oh, and it also bears noting at this point that there may be a bug in the game that prevents you from getting one of the student ID’s, but the folks at XSEED are looking into that, and if this turns out to not be the case, then I’ll update the review to reflect as such. This isn’t a significant problem as it doesn’t impact the game in any mechanical way, but for those who love to one hundred percent their games, this could be problematic for the time being. Despite whatever hiccups the game might have, however, Corpse Party is a game that anyone with a stronger stomach and an interest in good storytelling owes it to themselves to play, period. The story, both in concept and translation, is incredibly solid and the game meshes old-school concepts with fresh and interesting ideas in plot, visual and aural design. 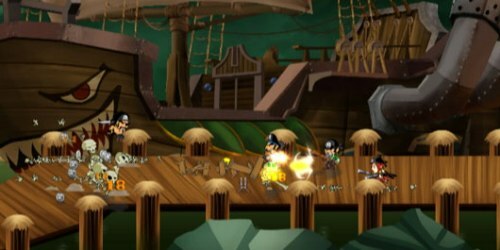 The gameplay is simple to work with and understand, while offering a solid amount of challenge and plenty of secrets to uncover that add depth and substance to the game, which, combined with its budget price, makes it easy to recommend in theory. It bears noting that the game is, frankly, graphic and harsh in its horror elements, which may be hard to take for some gamers, and even beyond that, it’s still a game where you’ll spend a lot of time reading, and with no option to skip repeated text, re-reading dialogue in the game. If you’re capable of handling your blood and gore and don’t mind a little reading, however, Corpse Party is an excellent download at a price that’s practically a steal, and it’s easily one of the best games released on the PSP this year, if not in general. I’m not the sort of person who feels like he needs to do everything a game allows when working on the review, necessarily, but occasionally when I get a game, I won’t stop playing it until everything is done. Corpse Party is that kind of game, and I freely admit I couldn’t stop long enough to write a review because I wanted to keep playing it. Obviously the game isn’t going to be for everyone, as it’s honestly pretty unsettling at times, requires the player to read heavily, and doesn’t allow for text skipping of events they’ve already seen. But the storyline is well crafted and translated, the game brings together an artistic and mechanical presentation that is equal parts old-school and modernized masterfully, and there is so much depth to the content that the game would be worth it if it were twice the price. Corpse Party is a must-have game for horror gamers or visual novel fans, and it’s basically one of the best PSP games released this year, and one of the best reasons to own one this late in the system’s life. Dammit! I promised I wasn’t going to buy any more games until Christmas shopping was done! DOOOOO EEEEET. $20 is hardly a lot of money. YOU NEED IT. Between this and Innocent Sin, the PSP is going out nicely. Just finished the first chapter and damn do I wanna do the second one but I need to sleep sadface.